A piece of steam age railwayana surviving at Shipton station in 1979. 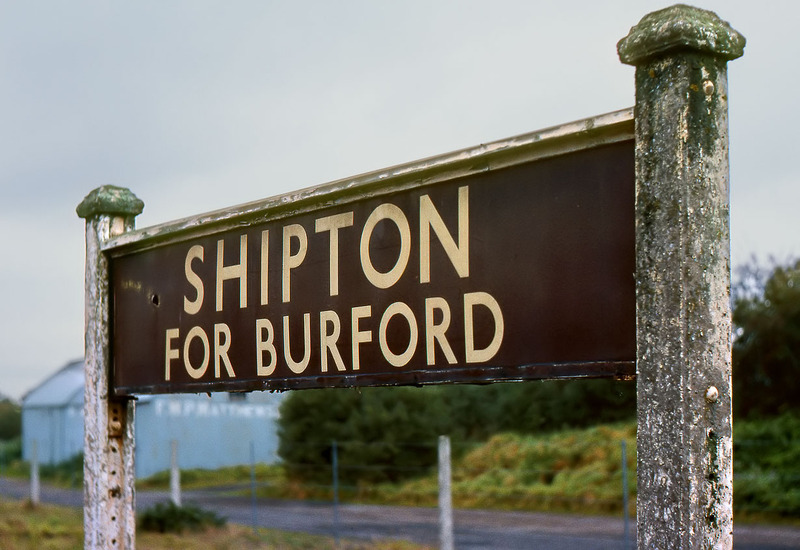 Surprisingly, despite the presence of corporate BR signage on the station, the large enamel 'Shipton for Burford' sign still survived on the up platform. This picture was taken on a very gloomy 13 October 1979, and I was going to return shortly afterwards for a photo in better light. However, when I got around to going again, it had gone. Whether this was a legitimate removal or a 'rescue' by other interested parties is difficult to say. It proves that you should always take pictures of things that may disappear!